1. Share something your significant other recently did or said that made you smile. 2. Share a photo that captures your special Valentine(s). 3. List the top 10 blogs you’re loving most this month. 5. List your five most recent favorite things. 6. February 18th is National Drink Wine Day. How do you like your wine? 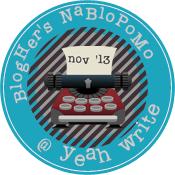 Yeah Write – This blog has been a favorite of mine. The editors care about their bloggers and they have something for everyone. They host link ups on Monday, Tuesday, and Wednesday. Then voting on Thursday. Winners announced on Friday. Then the weekend is for the Moonshine Grid. They also offer a lot more. Head on over and check them out if you haven’t already. Magpie Tales – This blog offers a photo prompt each Sunday for inspiration and a huge link up. The photo’s are very unique and the writers that participate are fantastic. Grammar Ghoul Press – Although I haven’t participated as much as I’d like on this blog, the challenges are unique and creative. This blog offers a lot more than prompts and challenges too! Julie Zantopoulos – This blog is new but the writer is not a new voice. She ran The Indie Chicks for 4 years, has recently self published a book, “Shoot Down the Wendy Bird”, and is getting ready to launch a new site! This is the perfect time to hop over to her site and get to know her. Janet Fitch’s Blog – I have been a huge fan of Janet since reading her novel “White Oleander. Then I stumbled across her novel “Paint it Black” and she rocketed to the top of my favorite authors. Her blog is insightful and offers a lot of writing advice to authors. The Relative Cartographer – I listed the blog Yeah Write up at the top. I discovered this blog on the blog link up this week at Yeah Write. Not only did he come in 2nd in votes for his entry, he won my heart with his story. 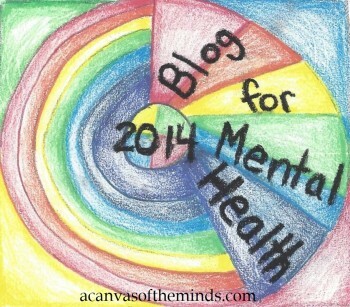 I have a lot of reading to do but so far this is a definite blog I love! Tess Abroad – It just so happens that Tess also host Magpie Tales, mentioned above. She provides the photo prompts and she writes her inspiration on her blog. She has a man reading her work on her blog post linked to The Mag and it is amazing. Not The Rockefellers – I have followed this blog since I first began blogging. The writing still amazes me. Also, she list several blogs where people can go for writing inspiration and just the entire lay out of her blog keeps me coming back. Angela Goff – Here is a blog I have followed for some time. She host the VisDare prompts, where she post a photo for inspiration and you can link up to whatever you write. The photos are unique and lots of fun! Mama Kat’s Losin It! – Last but certainly not least is Mama Kat. I have followed her prompts for some time now and I enjoy how creative they remain. I love reading her take on the prompt she decides to write about. Of course, she is the inspiration behind this post, so it goes without saying, I love her! There you have it. My top 10 blogs that I love! You can hop over to Mama Kat’s Writing Workshop and link up with your prompt. It’s fun!